Examples of NEW PARADIGM Splitting and Pairing Accelerated MASSLESS (Micro) Black Holes. 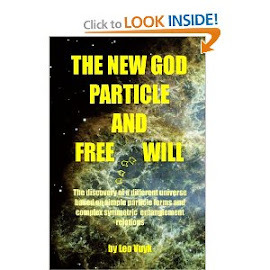 : The New Nuclear Magic Number (34) Explained by the Coaxial Ring System of Quantum FFF Theory. 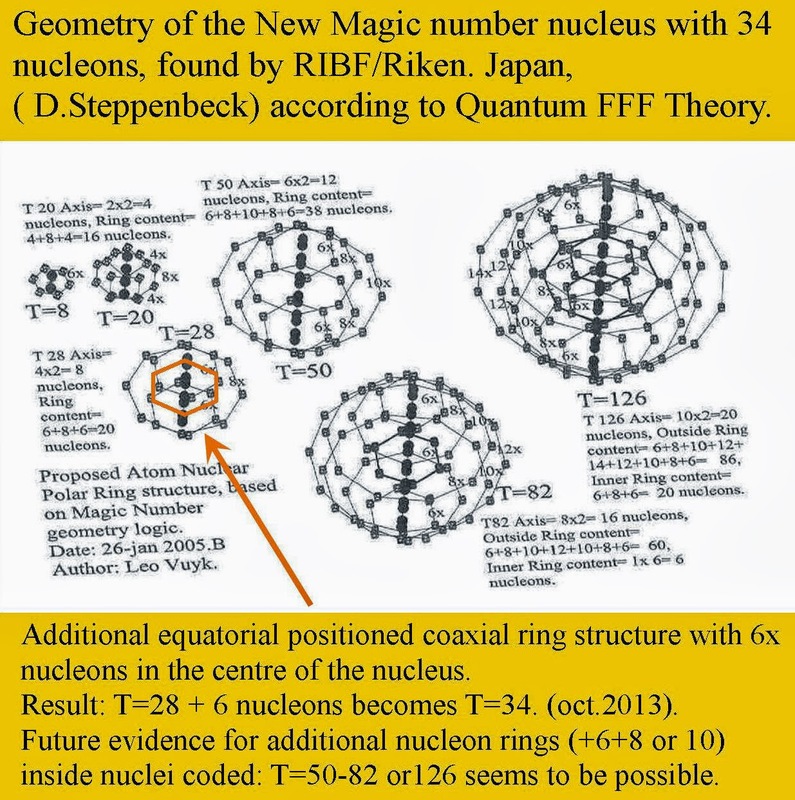 The New Nuclear Magic Number (34) Explained by the Coaxial Ring System of Quantum FFF Theory. Proposal for an atomic nuclear coaxial ring geometry, based on Magic Number logic, including the newest number of 34 nucleons found by RIBF/Riken Japan (October 2013). The numerology of magic numbers was reason to do research on geometrical solutions for the shape and structural system of nucleons (protons and neutrons) inside atom nuclei. We found interesting coaxial ring solutions, which were not only able to match the sequence of magic number numerology in a surprising way, but also able to explain the newest discovery of an extra magic number 34.